Now that NaNo is over and you may be planning your path for the next year, which I hope involves massive word count goals and tons of writing, its time for the first step in talking about my favorite software in this series, Scrivener. The first step is determining what Scrivener is, and what it is not. Scrivener does not replace your word processing program. 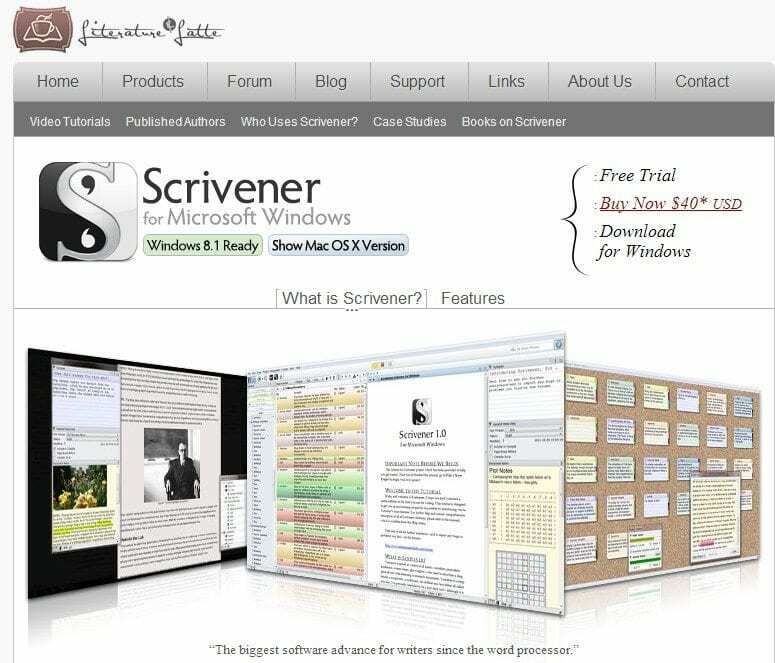 Like WriteWay and CharacterWriter discussed earlier in this series, Scrivener is not a replacement for your primary word processor, whether you have chosen Microsoft Word or the popular open source OpenOffice. (See the comparison here). Scrivener is a writing tool, but for advanced editing and document creation you will need one of these other programs. You can export great documents with Scrivener (see below), and with every update it improves, but it does not have the money backing and developers MS Office does. If you are not using advanced features in Word you will likely not even miss them, but if you use comments and track changes (see here) you will still need to hang on to Word a bit longer. 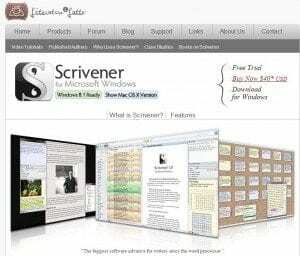 Scrivener helps organize your writing and ideas. There are at least three ways to do this, and even more variations if you use your creativity. Whether you are an outliner, a corkboard user, or a punster who just writes scenes out of order from time to time or wants to document character descriptions, scenes, and other notes, Scrivener has formats and ideas that will work for you. The project targets and statistics help keep you on task. Learning to use these tools can help you achieve your goals, breaking them up into reasonable short-term assignments. All of these tools keep you productive. By productive I mean writing more than organizing and fiddling around with separate files. The search and collection tools are invaluable. Metadata for each scene makes these tools easy to use. With a little effort and set up time, these tools can literally save you hours of searching and speed editing. They can also help you prevent common continuity errors. Looking back keeps you from making mistakes that can cost you time wasted in edits, and at worst can get your work rejected by agents, editors, or publishers depending on your chosen route to publication. Importing and Exporting is easy. Importing is imperfect: not all links and other features are imported from Word and other programs. But if you are just importing text, you will be fine. Headings and divisions are preserved, making dividing your manuscript relatively simple. Exporting is not only easy, but it is quite powerful. You can create Word documents for editing, and even create ePubs and other formats easily once your manuscript is ready. Although these are the more advanced features, they work well for formatting provided some guidelines are followed. (An entire class). If you are in the Boise area, we will be having a Scrivener 101 class on January 4th. (See the link here) If you are not in the area, a distance course will be available sometime later in the new year. Grab the trial version today, and give it a shot. Need help? Come out in January or stay tuned for more in the new year.